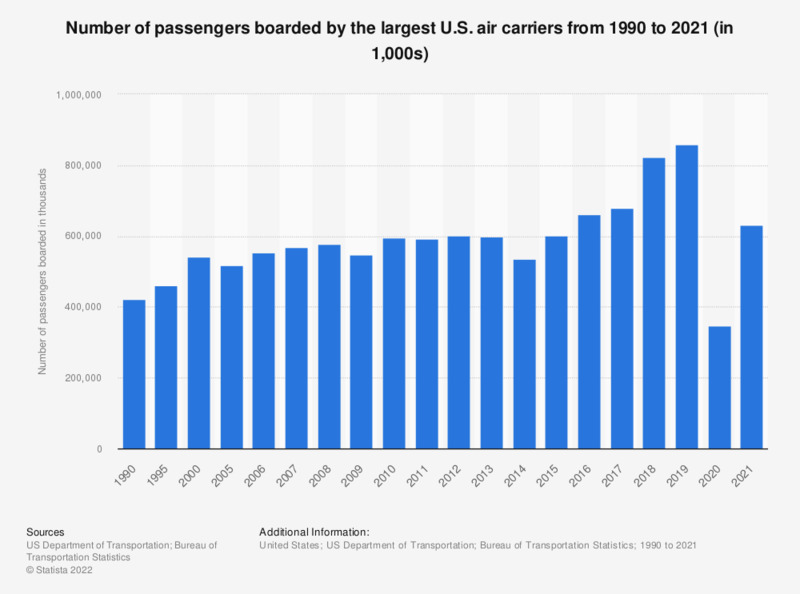 This statistic represents the number of passengers boarded by the largest U.S. air carriers from 1990 through 2018. In 2018, over 822.9 million passengers were boarded by the largest U.S. air carriers. According to the source, data include nonstop scheduled service between points within the United States (including territories) by U.S. air carriers with at least one percent of the total domestic scheduled service passenger revenues and operate aircraft with a passenger capacity of 30 or more seats. Data through 2017 was taken from previous editions.